Meetings are one of the most common decision making ‘forums’ we are all regularly involved in. In fact one in five company meetings we take is to make a decision. As a way of making decisions though, they can be problematic. Once the meeting has concluded, the connection between information shared, decisions made and actions taken can be weak even lost. It’s as if the meeting itself were a decision making black hole. A typical QBR will see Senior Managers sharing results in PowerPoint, possibly with financial results in spread-sheets which I would hope have at least been extracted from a Business Intelligence application. If the SMT are reasonably well organised, they will summarise their conclusions and actions in meeting minutes. The meeting minutes will be typed up by an assistant in a word document and then distributed in email. Throughout, they will all have been keeping individual notes so will walk out with these in their daybooks. The most senior manager in the room might not do this particularly if it’s their assistant who’s taking the minutes. Later, actions from daybooks and minutes are likely transferred to individuals to-do lists and all follow-up will be conducted in email and phone calls. So let’s recap. Critical decisions about how resources are going to be allocated will be discussed in a ‘QBR’ and yet the artefacts of this critical decision making forum are scattered into Word documents, excel spread-sheets, emails and outlook tasks. Tiny fragments of the discussion, information, conclusion, decisions and activities implode around the organisation. To be frank, the team are now only going to make progress because the forum was recent and can be relatively easily recalled. Many executives complain of a syndrome that feels like ADS. This is because the more senior the manager the more things they will probably have to deal with at an increasingly superficial level. A functional head will probably spend no more than 15 minutes on any one thing. To productively make decisions they will need to be able to have the background, status and related information to hand so that they can deal with it quickly and move on to the next thing. Decision making black holes contribute to this feeling of EADS. This means total recall of corporate decisions good and bad so that, over time, decisions can be recalled, evaluated, re-used or improved. 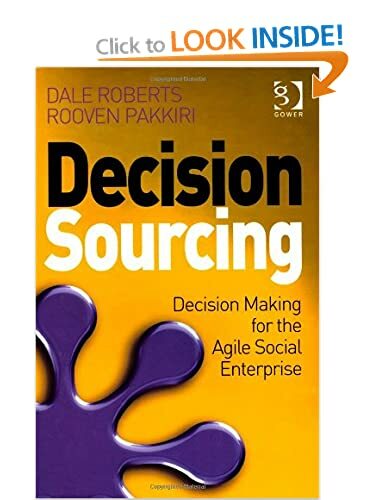 A far cry from current decision making forums which whilst functional are inherently flawed, fragmented and are not improving the timeliness and quality of decisions in our organisations.